Description: The New York style L hinge is used for exterior shutters hung flush with the casing (full inset). 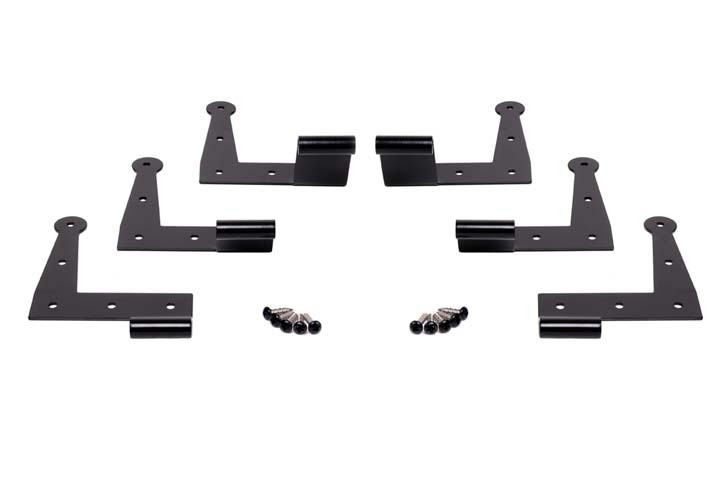 The exterior hinge is offered in three differing offsets. The pintel is sold separately in the same offsets. By combining the offsets of the hinge and pintel, the overall desired offset can be obtained determined.